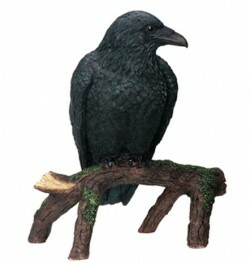 This eye-catching and realistic raven perched upon a branch will look great around your house. The weighty ornament is packed within protective polystyrene casing. A stunning and beautiful figurine! This is one of our favourite figurines and we fully recommend it.